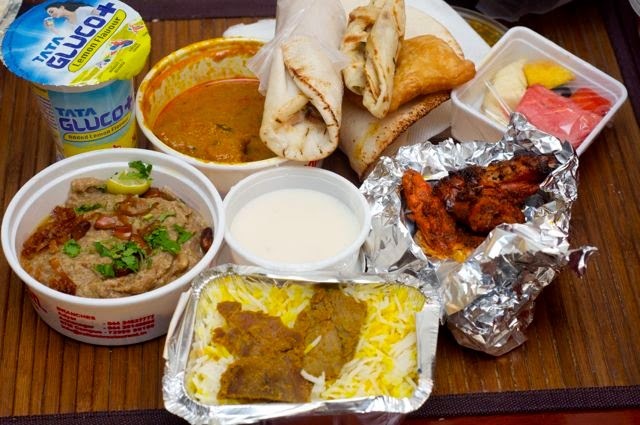 The first time I had the Zaitoon Iftar Box, two years back, I was blown. I wondered how they were able to nail it! It was nailed brilliantly! Price, quantity, quality. Everything was just right. Last year, though, was the exact opposite. I thought, they were a one year wonder. Hated the box. It was overpriced and the quality had dropped from the sky to a below sea level. I had no intention of trying it out this year. I noticed the box siting at home. Folks had picked it up as they were out and there was no time to prepare something. And boy, was I glad! For the first time, this Ramzan, the Haleem was excellent. The taste, the consistency and everything about the haleem was near perfect. It was so good, that I went back and picked just the haleem the very next day. But the box is well thought out, so I'll start with the things I liked. Haleem, yes. The grilled chicken, yes. The tiny paratha with the chicken gravy, perfect size. The modified schawarma, yes. Besides the fruit bowl and drink and dates, the only other things left was the Arabian rice with three pieces of meat and a very dry kuboos. The Arabian rice might have been better if it was hot, but the kuboos was way too dry for me. Smart moves were the size of the paratha, since this boxed is aimed at one person, the tiny one was good enough for me. I liked the modified schwarma which was smaller and more meaty with less veggies. This year, Zaitoon has got it perfect and I am glad. I went back again and picked up Haleem, because the haleem was excellent, and if I go back, I will stick to their haleem and a roll maybe.